Bikes are one of the most efficient means of travel, but choosing a quality bike is hard. A lot of manufacturers also cut corners and get their parts or labor overseas. That’s why we’ve taken the time to pick out some of the best bikes made in the USA today, and then categorized them to make finding the perfect option for you a bit easier. While searching for the very best bikes made in the USA, we were really impressed that a ton of brands came to the forefront. 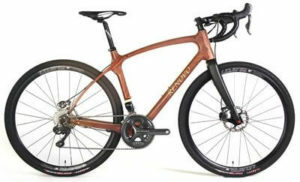 The beauty of the hardwood bikes from Renovo Hardwood Bicycles, and the practicality of the single gear bike from Rock Lobster are just a couple of examples. There are some truly stunning bikes being produced in the U.S. right now – below are our top picks, along with our honorable mentions at the end of the article. We broke down some of America’s best bikes into neat categories, helping you find the best fixed gear bike, the best hardwood cycle, and the best electric bike, among other options. Here are some deeper details about each one, along with what we liked and didn’t like. The A-Type bike from Detroit Bikes is a classy lightweight that’s designed for commuting and casual riding. We love that the bike is made right in Detroit with American materials and craftsmanship, and the careful attention to detail that makes this bike a smooth rider. We spoke to the owner of Detroit Bikes, Zak Pashak, to get his take on why he makes his bikes in the U.S.: “I think customers are starting to want to connect to the things they buy, and they are interested in where those things come from. Our customers love the quality of our materials…there’s nothing nicer than riding a bike made from American chromoly steel.” This bike comes with either a 3-shift or 8-shift gear setup and it’s comfortable and smooth shifting for easy riding no matter where it’s taken. The bike is made from a tough chromoly steel and has an old-school look that will appeal to many riders. Choose from the available Midnight Blue or Burnt Orange colors to get just the right look for you. The Genesis R 400 DT electric bike is a commuting masterpiece by Prodeco Tech. 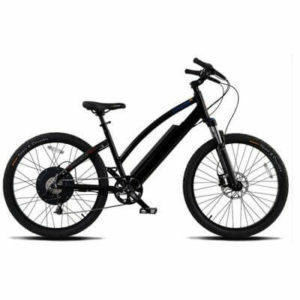 The bike is smooth riding, nearly noiseless and it offers and exceptional range of up to 35 miles on a single charge. We like the stealthy all-black color scheme of the bike and the tough Continental tires that it comes fitted with. The Genesis R 400 features a powerful 400W direct drive motor and can handle most hills without fail. 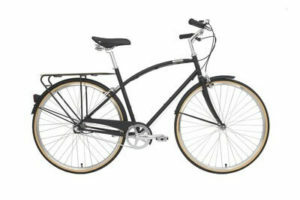 It offers a solid 20 MPH top speed, making it a capable tool for speedy early morning commutes. We found the hydraulic brake system to be highly responsive and the overall performance of the bike to be tight and enjoyable. It was easy putting the Genesis R 400 DT on our list. For road commuting or serious racing, it doesn’t get more useful than the Nor’Wester bike from Co-Motion, a company based on Oregon. This bike is lightweight, tuned for peak performance, and versatile enough to be an effective commuter bike. We love that this road bike is crafted to accept rear racks and fenders. It comes with standard 700c wheels but has space to accept 28mm tires as well. This cycle is crafted from tough 853 steel that’s been air-hardened for excellent durability. The bike comes complete with long-reach calipers that offer excellent braking power and work with different wheel and fender setups. Whether you want to enter a race, or commute back and forth to work, the Nor’Wester is a capable contender that’s up to the task. This bike can also be outfitted with different paint finishes and accessories to make it the custom bike you’re looking for. Give yourself the edge that you need with one of the precision-designed Masi Bikes. These bikes are American-made (Vista, CA specifically) and built to exact specifications to be lightweight, reliable, and high performers every time. The bikes are made with a carbon-fiber frame for maximum weight reduction, they feature internally-routed cables and direct mount brakes. We love how smooth and responsive the Shimano gear system parts are. 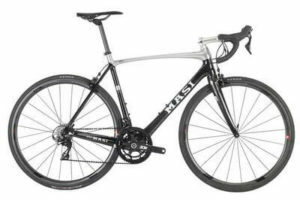 These peak performance bikes from Masi are all designed to offer competition-level performance. They’ll give you tight and responsive performance you need to get a real edge in your next race. The URSA Major Titanium 1.0 is a cushy riding bike from Chumba USA designed for country riding. The oversized tires used on this bike offer exceptional traction with a bit of added padding over serious bumps and ruts. We love the tough steel frame construction and exceptionally short chainstays. The small chainstays offer improved snow handling and a more fun ride while out on the trail. 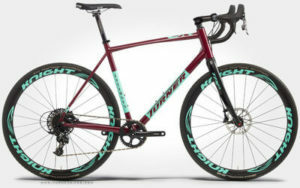 If you’re looking for a trail bike with oversized tires, you won’t find a better option than the URSA Major Titanium 1.0 by Chumba out of Austin, Texas. The bike offers all the necessary clearance for oversized tires, and its precision engineered for maximum comfort and handling in a trail riding environment. We talked with Vince Colvin, their Director of Operations, who had this to say about their mission: “Our mission is to provide you with the highest quality user experience beginning with precision made in USA fabrication and materials, through friendly planning of your dream bike, to turning over the pedals for years to come.” We love that mission and think it is well reflected in their bikes. The M16 line of bikes from Intense Cycles USA are a perfect example of top quality American engineering and construction. Made in Temecula, California, these bikes are carefully designed to withstand the rigors of your typical downhill racing course, making them good over jumps and on diverse terrain. Each bike comes equipped with the powerful RockShox Vivid Coil shock system to withstand major jumps and bumps. We love the use of the Maxxis Minnion fat tire for enhanced gripping power and padding for comfort. 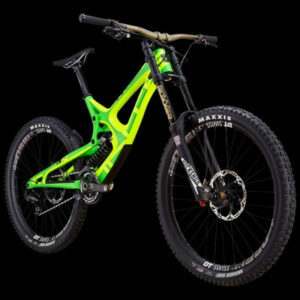 This downhill bike uses a unique frame construction meant to offer the most shock absorption while granting as much control as possible over jumps, and it pays off when taking it through rough portions of a downhill course. Riders can choose from three different color schemes with this bike and four different sizes for just the right fit and look. An interesting hybrid of road racer and street performance machine, the Cyclosis from Turner Bikes is a top-tier performer and a showcase of American craftsmanship. This cycle has the form of a road bike, with some minor off-road enhancements such as tough traction tires. It features a lightweight, but tough 6061 T6 aluminum frame and a TRP carbon fork to help keep your speed up during a race. 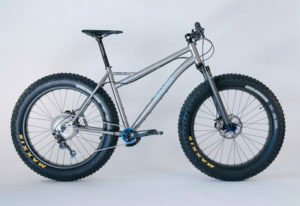 We love the custom shaped aluminum tubeset this bike comes with. It features a carefully shaped top tube to better spread load in the shoulder area for enhanced stability for bumps and uneven surfaces. It’s the slight enhancements that separate this cyclocross bike from traditional road bikes. Geared bikes are a lot of fun and make for smooth riding conditions when going up steep hills or tackling major downhills, but there’s something to be said about the simplicity of a single speed bike. We love the attention to detail, the quality components, and the careful build of the Rock Lobster Team TIG single speed bike. 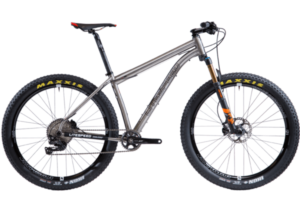 We also like the focus on using TIG welded steel for the construction of this bike, making it one of the toughest mountain bikes you can get your hands on today. The bike is built with simplicity in mind, and should hold up for many years of hard use. Each bike is carefully powder coated for a long-term finish that won’t wear during standard use. This single speed bike has been carefully designed to offer good smooth performance under most circumstances while enabling comfortable peddling. 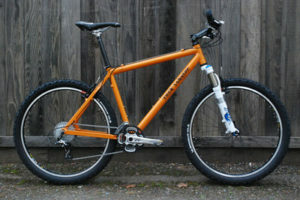 Rock Lobster is a small bike outfit in Santa Cruz, California offering top-quality hand constructed frames. The company strives for exceptional quality, but wait times for a frame can be months because of this. Sometimes a good hardwood bike is hard to beat. The natural look and feel of hardwood and the tough performance qualities offered by ash, birch, walnut and bubinga hardwoods with the John Day from Renovo Bikes really make this one shine. This rock-solid performer features tough glued and fastened joints for maximum strength. We love how quiet this bike is and the smooth ride that it provides. This casual cruiser features wide posts for enhanced stiffness over other wooden bikes. It comes with disc brakes for optimal stopping power and is compatible with a wide range of tires from 28 to 40mm in size. This luxurious road and trail cruiser comes with a range of customization options, letting you get the perfect setup for your own particular ride style. It’s on the expensive side, but if you have the means, it makes up for the price with the unique wood look and smooth performance. Buying the best bikes isn’t easy to do, because there are so many different factors to decide on when picking out a bike. We decided to focus on the four most important characteristics that make a bike great. Lightweight construction, durability, versatility and performance braking. By focusing on these four areas we were able to separate decent bikes from the great ones and put together a list of the best bikes made in the USA. Made from lightweight carbon fibers, aluminum alloys, and specially formulated steel alloys, these bikes are much lighter than what you can get from the local Wal-Mart. They aren’t weak, but are light enough for high speed cycling when other heavier bikes would simply slow you down. When choosing the country’s best bikes, we are absolutely looking at the durability of the products. We looked for thick weld lines, tough fasteners, and careful material selections. Our top selections are made from aerospace-grade aluminums, thick steel alloy materials, or carbon fiber in most instances. Most of the high-end bikes on this list are designed for versatility in mind. They feature wide forks, and frames with built-in clearance. The bikes can accept many different tire sizes, different brake setups, and different gearsets. When investing in a top quality bike, you want it to be adjustable so that you can customize it and alter its performance as needed. Each bike option listed here uses either standard disc brakes or hydraulic brakes for maximum stopping power and smooth performance. Stopping is one of the most important tasks for a bike, and we only focused on bikes with the best stopping power. Here are the other bike brands we looked at that are also made in the USA.